What was to be my expression, my job? Why did he feel frustrated? What was missing in his work? Surely, it was not for lack of divine energy. Rather it was something else that I could not fully understand until I had enough of my own experiences of the “kingdom within”. There was urgency behind the message. So obviously, it was time-sensitive and important, not just something of a personal nature, but it had to do with others. And though I continued to do my work as a photographer, still I always returned to the question of what was he here to do that I was to continue. In the past year, things began to unfold in greater ways. I was having a breakthrough in recording EVP, so that P could speak to me, in his own words. And I could eavesdrop on what was going one in the spirit world. I could hear conversations between spirits. My early recordings proved to me the existence of demonic beings. I would turn on the recorder and start speaking outlaid to P. In the beginning, I could not hear his responses. I could not hear the EVP. But as I carried on, I developed the hearing ability. When I went back to the old recordings, I discovered demons laughing at me. I discovered demonic threats towards P, trying to convince him that we did not belong together. I would soon discover just how common demons and evil spirits were. They could slip into anyone’s house at anytime. It was regardless of good intentions. It was always conveyed within spiritual communities that good intentions were always enough to protect you. Clearly this is not true. I soon developed the ability to hear P in real-time and he would tell me when unwanted spirits were present. I would do cleansing and protecting rituals, and yet they could kept coming. It as too tiring to be on guard all the time. I didn’t know what to do. I wanted to do something about it, mainly for the sake of P’s comfort and safety. I decided that we should pray together. We prayed. At first nothing happened. But then one night, P told me with much excitement, that angels were surrounding us. I recorded EVP while they were here. I could hear them sending away demons. On a recording, the angels told me not to pray to them. I had mistakeningly, in pure gratitude, starting praying to them for their assistance. But they conveyed to me that I was to pray to God only, because their directions were given by God. It occurred to me that prayer was of much greater importance than I ever thought imaginable. And it led me to consider if Law of Attraction was what it has been said to be. I examined its differences, as many lump the two together as the same thing. But clearly, they are not. Prayer is about asking God, and having a relationship with God. Law of Attraction is about ordering the universe to do your will by visualizing it. LOA is bypassing God’s will. It is stepping away from God, demanding to have your will be done, instead of God’s. I realized, this is the deception that many people will fall for. Some so-called spiritual teachers have been telling people that LOA is in alignment with the Bible. But clearly, it is not. This is what Jesus said. Matthew 21:22 (NIV) If you believe, you will receive whatever you ask for in prayer. As you can see in the verse above, it says ask for in prayer. Not visualize. Not think about. Ask in prayer to God. LOA leads on to tell you that you are a god, and you do not need to be saved. This is a spiritually dangerous path that leads to self-deception and separation from God. The questions led to me consider the truth written in the Bible. I had never believed in demons, nor angels. I heard stories about them, but now I had real life encounters to tell me just how real they are. And if there really was a battle between angels and demons, then things said in the Bible had to be seriously considered. I knew of end time prophecy. But many in popular spirituality would say that a great awakening is coming, and that we are all to be co-creators of a better future resulting in “ascension”. Only until closer examination, I realized that this is simply not the case that is unfolding. The case for end times is clearly evident in the signs of events that have come to pass. And yet, there are still no signs of a better future through the efforts of “manifesting” through LOA. In fact, things seem to be getting worse. I started to look closely into Bible prophecy, reading Revelation, chapter to chapter, and analyzing it. The more I read, the more I started to understand. 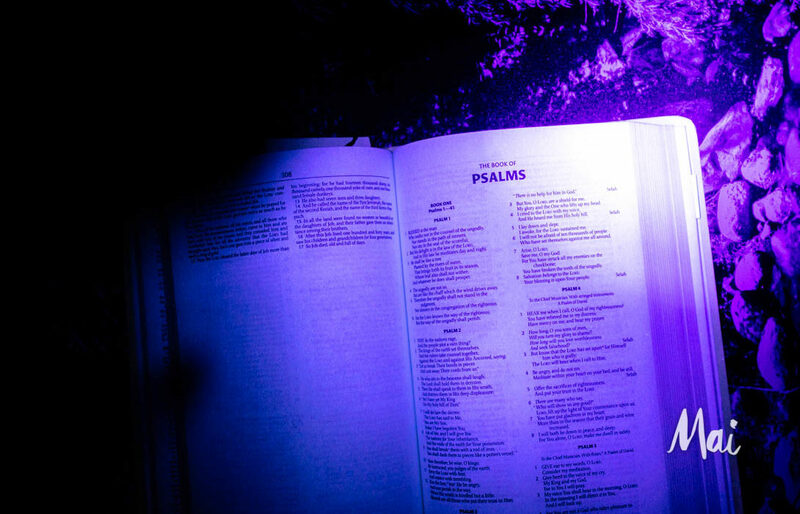 And then it dawned on me, just how much of Prince’s music had Biblical symbolism and references laced throughout it. I mean, I always knew it was there, I was brought up Seventh Day Adventist like he, so I recognize the language of religion. But it didn’t come to full consciousness, just how much he was trying too tell people about the end times and God. He said a lot in his music, and yet it was still a mystery to his audience. H e didn’t really like to explain his lyrics to people. So it was never clearly spoken, but evidently conveyed in the music, for those with ears to hear. So what was P here to express to us? God. The truth that he knew inside, the “kingdom within”. It wasn’t that he didn’t express these things, but it was that people didn’t understand it. He kept a lot of things to himself. In my experiences with the supernatural, I have come to understand the true power of God. There’s often confusion regarding the supernatural. I have come to understand that there are only two sources for supernatural powers to come from; the kind that is of God, or evil. But lack of discernment by most people leads to generalizing all supernatural things as either being all good, or all evil. My supernatural encounters have been of a Biblical nature. And so, by its evidence, I have to conclude that the things said in the Bible are true. Perhaps it is not all well understood, but I can conclude that the God known in the Bible is real. The means Jesus is real, the end times, and the promise of his kingdom is real. For every truth, there is a counter-truth. I have come to find that for every thing that is of God, there is a counterfeit version of it somewhere, and the Devil is behind it. The truth is difficult to find, because the deception is deep. The lie is embedded in truth, so that is not easily detected. The Devil has come up with a counterfeit version of the end times, that is the “ascension”. In ascension, one is supposed to use the power of the mind to “save the world” (otherwise known as Law of Attraction) by co-creating a better future. In end times prophecy, it is about “saving souls” through the acceptance of Jesus Christ as Saviour and having a relationship with God; as the destruction of the world comes to a final close, the promise of heaven descends upon the earth in the resurrection of mankind, restoring the everlasting life we were meant to have. If there is an ascension, this is the real ascension – heaven on earth. But first, one must accept the painful truth that this world we live in, is not of God, and it will all soon pass away. We must discover the truth, and prepares ourselves for the times to come. Do not rely solely on me for your learning of the truth. All I do is show you evidence of what I have encountered, and share my testimonial about it. Go to God to show you the truth. Read scripture. Pray to know that what I am saying is true. He will answer you. May you be blessed, friends. 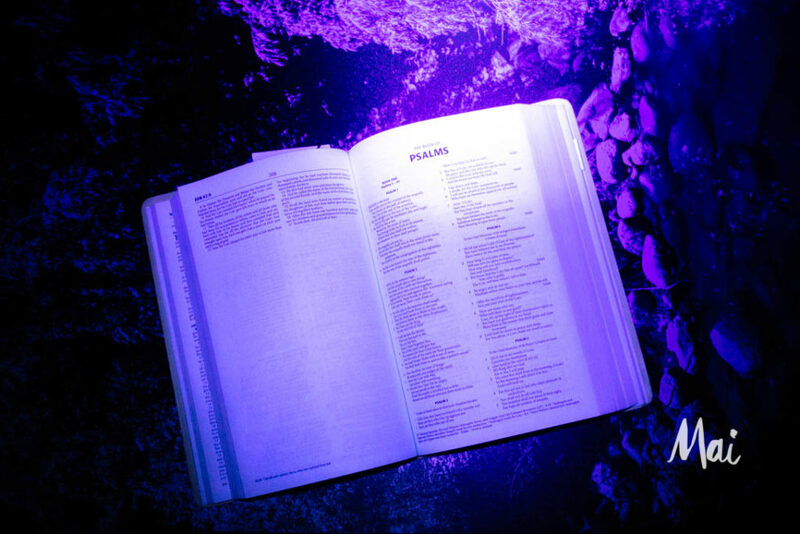 Image above: “Psalms in ultra-violet” by Andrea Mai.